Lunch will be Arabic Sandwich “Shwarma” and some soft drink. After breakfast, you will visit Petra. Boxed lunch at Petra site or normal lunch at restaurant near Petra site. After breakfast, you will transfer to QAIA to say farewell & board your international flight. 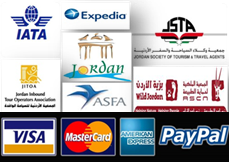 Option: If Day1 is Mon,Wed or Thur, you can join “Petra by Night” with extra JD12.- pp on total tour fee. The time is 20:30 – 22:30hrs. amenities available. At the event of overbooking, we will accommodate you on similar properties. 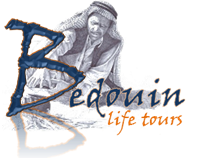 In the morning pick up from your hotel in Amman city , and transfer via the Desert Highway for 2.5 hours to Arava Border to the astonishing rock city Petra for a full day tour. From the Visitor’s Centre start on horse ride back or on foot to the Siq, a narrow gorge, and continue to the beautiful Treasury. Walk along the Street of Facades to the Royal Tombs, the Theatre and Qasr Al Bint. In the afternoon return to your Amman hotel. • 700’m horse ride in Petra (not mandatory, horse handler expects a tip). • Mineral water on board of the vehicle.